For those international and are interested in purchasing here, Please click here and provide us your address and what you would like to purchase for the most affordable and quickest shipping service to your door. 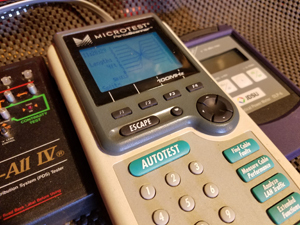 This cable kit was designed to extend to the existing Nexstar hand controller connection. adding 6' for more custom fit and stationary control. This cable works with all NexStar handset models, including: AVX, NexStar 5/8 Original NexStar GT (60/80/114/4) NexStar GPS New NexStar GT (introduced in December 2001) Hand control version 2.2 and 2.3 for the the NexStar 5i/8i/8i Special Edition and NexStar GPS CGE Series (current CGE scopes ship with hand control version 4) AS-GT Series (current CGE scopes ship with hand control version 4) Hand control version 4 - introduced with the CPC and compatible with the NexStar GPS, CPC, LCM, SE, SLT, GT, CGE, CGE Pro, AS-GT, CGEM and StarSeeker. Works with CGEM. For six pin connectors. 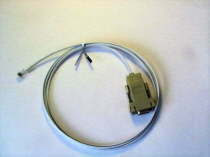 This cable kit was designed to extend to the existing Nexstar hand controller connection. adding 25' for more comfort and stationary control. This cable works with all NexStar handset models, including: AVX, NexStar 5/8 Original NexStar GT (60/80/114/4) NexStar GPS New NexStar GT (introduced in December 2001) Hand control version 2.2 and 2.3 for the the NexStar 5i/8i/8i Special Edition and NexStar GPS CGE Series (current CGE scopes ship with hand control version 4) AS-GT Series (current CGE scopes ship with hand control version 4) Hand control version 4 - introduced with the CPC and compatible with the NexStar GPS, CPC, LCM, SE, SLT, GT, CGE, CGE Pro, AS-GT, CGEM and StarSeeker. Works with CGEM. For six pin connectors. Celestron Telescope is 100% compatible with 93920., Works with Nexstar 4/5/8/11; and GPS, 60GT, 80 GT and; 114GT. (not for firmware downloads) Light color cable design for night vision and safety! No more tangled cord. made of 26 AWG copper Tiger Cable.Â® Great for backup or upgrade! It allows your NexStar telescope to be controlled using a laptop image computer or PC. Once connected, the NexStar can be controlled using popular astronomy software programs. 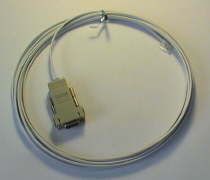 Celestron Telescopes RS232 Cable connects to your PC's serial port. For use with a USB port, you must purchase a serial to USB converter avaible here. Celestron Telescope is 100% compatible with 93920., Works with Nexstar 4/5/8/11; and GPS, 60GT, 80 GT and; 114GT. (not for firmware downloads) Light color cable design for night vision and safety! No more tangled cord. made of 26 AWG copper Tiger Cable.® Great for backup or upgrade! It allows your NexStar telescope to be controlled using a laptop image computer or PC. Once connected, the NexStar can be controlled using popular astronomy software programs. 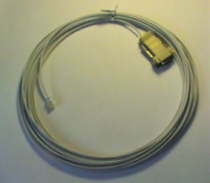 Celestron Telescopes RS232 Cable connects to your PC's serial port. 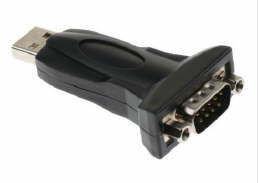 For use with a USB port, you must purchase a serial to USB converter avaible here. 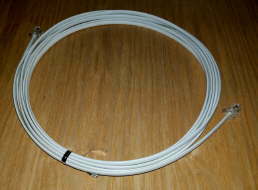 This is an after market cable assembley 6' white design for better night visibility and sfaety from cord wrap, etc. Improved oxidation resistance, wear resistance, Wire using environmental protection PVC, excellent workmanship, soft line body , good flexibility, strong anti interference performance. Applicable to the Interface for 5.5mmx2.1mm Device, Connector. Measurement allowed error is +/- 1-3cm. 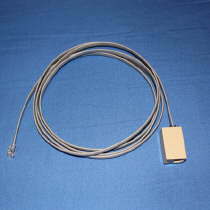 This cable is connected from the serial port of a computer to the PC Port on the base of the GPS, CPC and CGE telescopes. 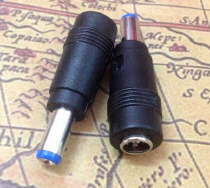 The same cable can be used with the AS-GT, CGEM, NexStar 5i/8i, NexStar SE and NexStar SLT with an *Otional Auxiliary Port Accessory Kit (part number 93965) The two uses of this connection would be to run NexRemote without the use of the real hand control and to update the motor control firmware in the mount. . 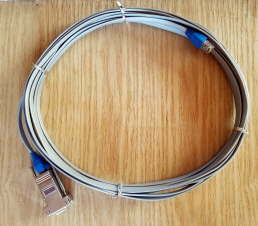 The PC port on the base of the scope is a standard RJ-45, so it is fairly easy to build a cable using a flat RJ-45 cable and a DB-9 (female) to RJ-45 adapter. 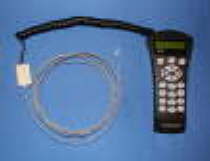 This cable kit was designed to extend to the existing Nexstar hand controller connection. adding 50' for more comfort and stationary control. This cable works with all NexStar handset models, including: AVX, NexStar 5/8 Original NexStar GT (60/80/114/4) NexStar GPS New NexStar GT (introduced in December 2001) Hand control version 2.2 and 2.3 for the the NexStar 5i/8i/8i Special Edition and NexStar GPS CGE Series (current CGE scopes ship with hand control version 4) AS-GT Series (current CGE scopes ship with hand control version 4) Hand control version 4 - introduced with the CPC and compatible with the NexStar GPS, CPC, LCM, SE, SLT, GT, CGE, CGE Pro, AS-GT, CGEM and StarSeeker. Works with CGEM. For six pin connectors. 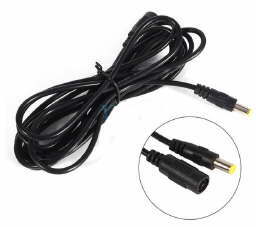 This cable kit was designed to extend to the existing Nexstar hand controller connection. adding 75' for more comfort and stationary control. This cable works with all NexStar handset models, including: AVX, NexStar 5/8 Original NexStar GT (60/80/114/4) NexStar GPS New NexStar GT (introduced in December 2001) Hand control version 2.2 and 2.3 for the the NexStar 5i/8i/8i Special Edition and NexStar GPS CGE Series (current CGE scopes ship with hand control version 4) AS-GT Series (current CGE scopes ship with hand control version 4) Hand control version 4 - introduced with the CPC and compatible with the NexStar GPS, CPC, LCM, SE, SLT, GT, CGE, CGE Pro, AS-GT, CGEM and StarSeeker. Works with CGEM. For six pin connectors. 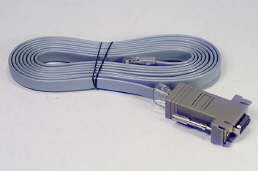 This cable kit was designed to extend to the existing Nexstar hand controller connection. adding 100' for more comfort and stationary control. This cable works with all NexStar handset models, including: AVX, NexStar 5/8 Original NexStar GT (60/80/114/4) NexStar GPS New NexStar GT (introduced in December 2001) Hand control version 2.2 and 2.3 for the the NexStar 5i/8i/8i Special Edition and NexStar GPS CGE Series (current CGE scopes ship with hand control version 4) AS-GT Series (current CGE scopes ship with hand control version 4) Hand control version 4 - introduced with the CPC and compatible with the NexStar GPS, CPC, LCM, SE, SLT, GT, CGE, CGE Pro, AS-GT, CGEM and StarSeeker. Works with CGEM. For six pin connectors.